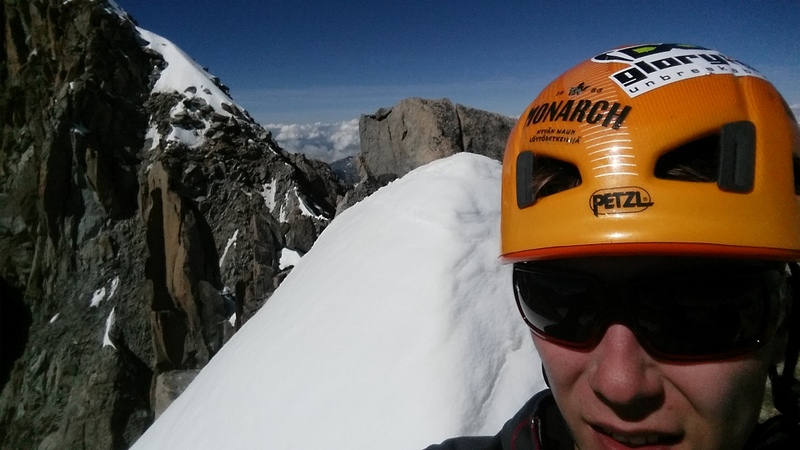 Late summer heat wave hit the Alps making high rock routes back into condition. During the past two weeks I’ve been mainly “multipitch cragging”. 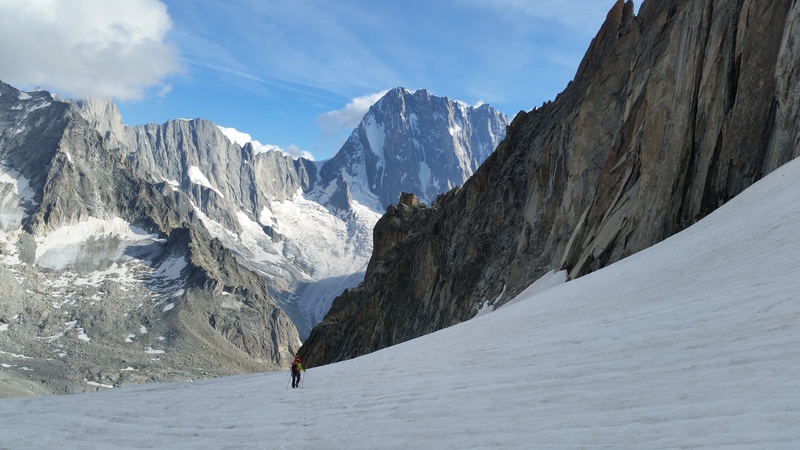 Routes like Fermeture eclair, L’echo des Alpages, Contamine on the Lachenal were all good fun, but I was constantly thinking parties on the Walker and the Freney – I should be there too. I had also this idea of soloing the Grand Montets arete on the Aiguille Verte. On 1st September I went for it. Grand Montets arete is the left-hand skyline. First cabin was a bit late and I was able to start climbing at 8:45 from the GM top station. 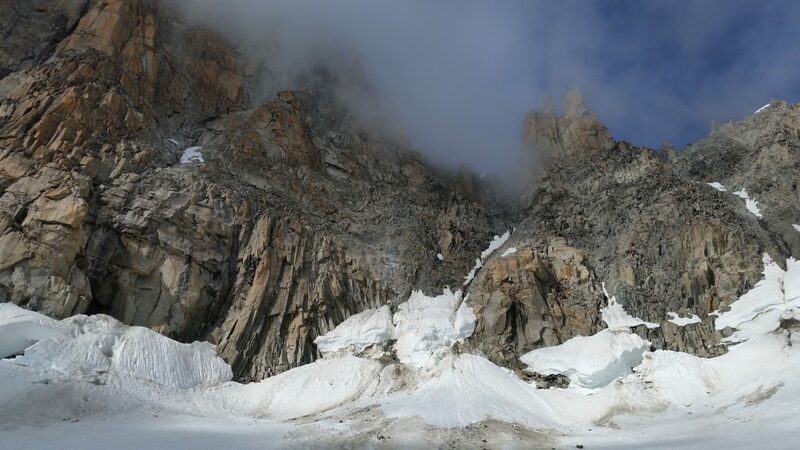 Short glacier approach led to the ridge of Petite Aiguille Verte, where the route properly begins. Traversing loose ledges on the Nant Blanc side wasn’t too pleasant, but cairns marked the way and I made quick progres, reaching the notch before Pointe Farrar in 1,5 hours. Route finding looked harder than it really is. 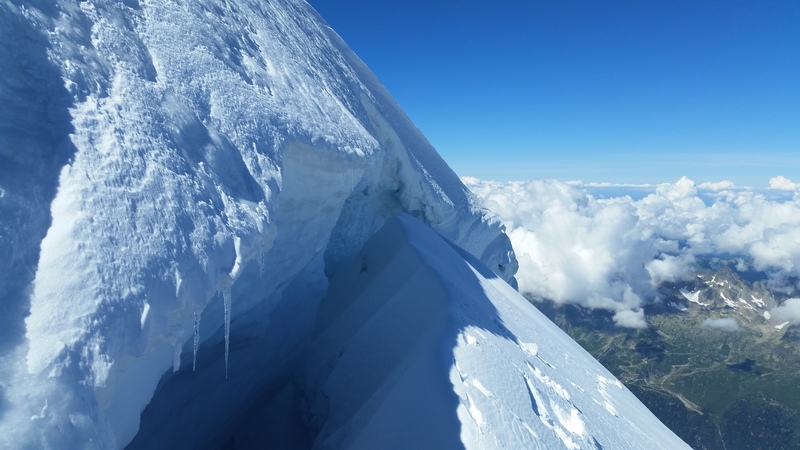 I climbed through a slab and a steep grade 4 chimney to the summit of Pointe Carree. Then two abseils brought me to a another notch. I put crampons on and climbed beautiful ice runnel back to the ridge. 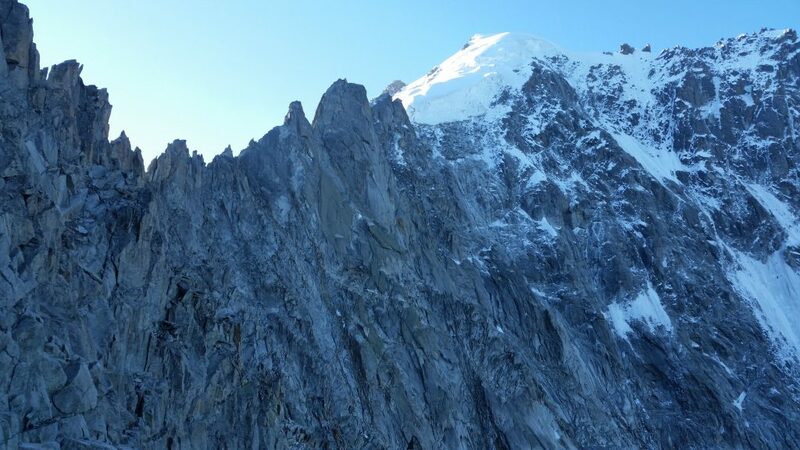 The following section was verglassed, so I skipped the initial slabs of Pointe Segone, and traversed loose ground on the N side to the Col du Nant Blanc. 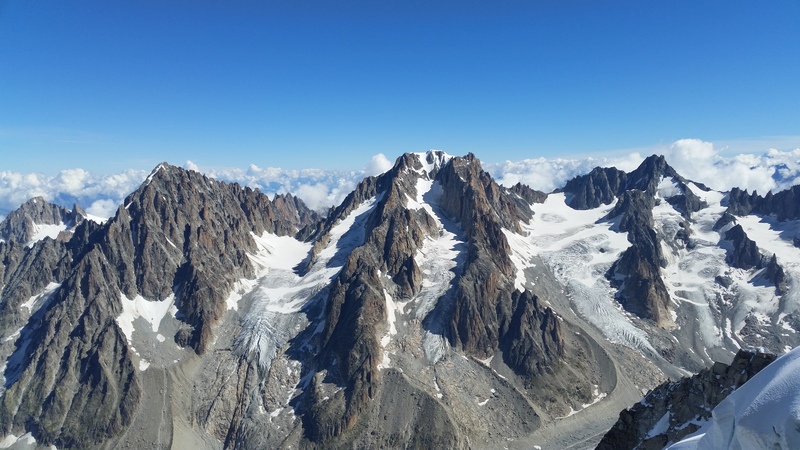 Views down to Argentiere basin were great. Nice ice runnel led back to ridge. At Col du Nant Blanc. Snow section begins here. Snow conditions were almost perfect at the calotte and I summited the Aiguille Verte after 4 hours leaving the lift station. 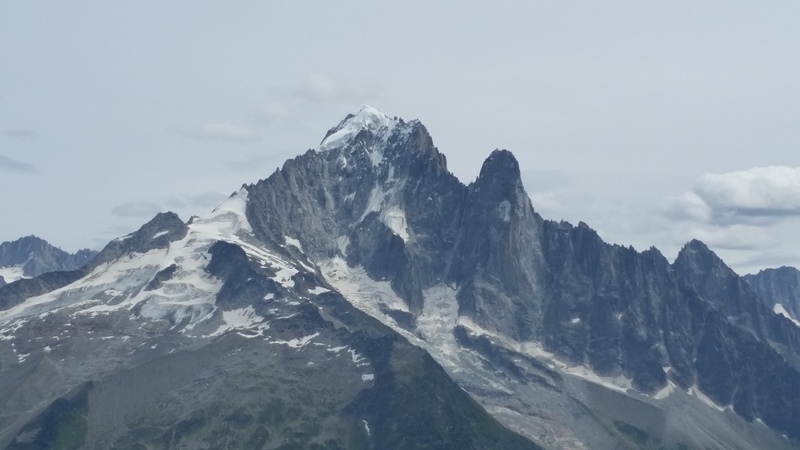 As the day was windless and visibility good, I continued to the Aiguille du Jardin ticking the Grande Rocheuse on the way too. Three 4000m peaks in a hour! Had to cross one big crevasse. 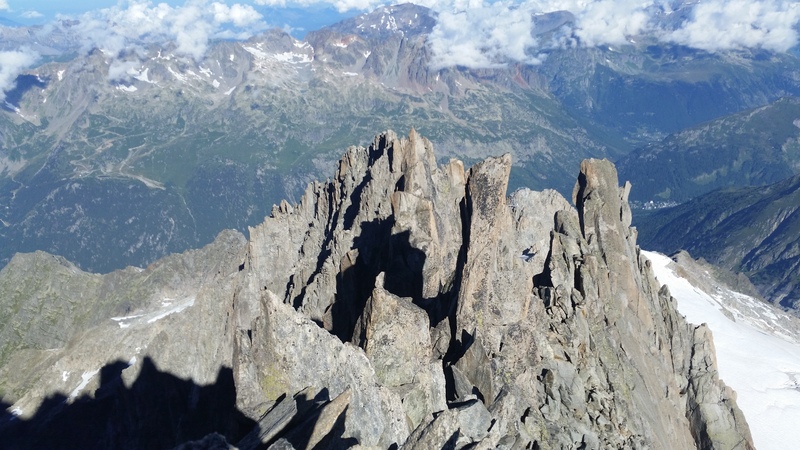 On the summit of the Aiguille Verte. Second time this summer. 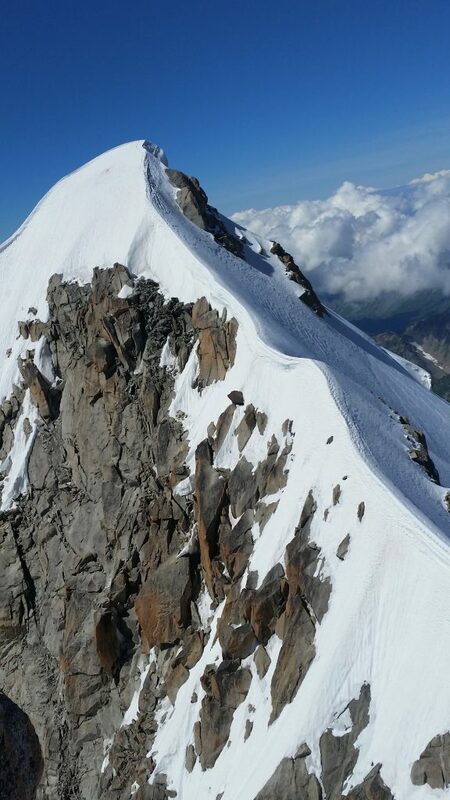 Verte’s summit arete seen from the Grande Rocheuse. Very alpine terrain to be climbed. 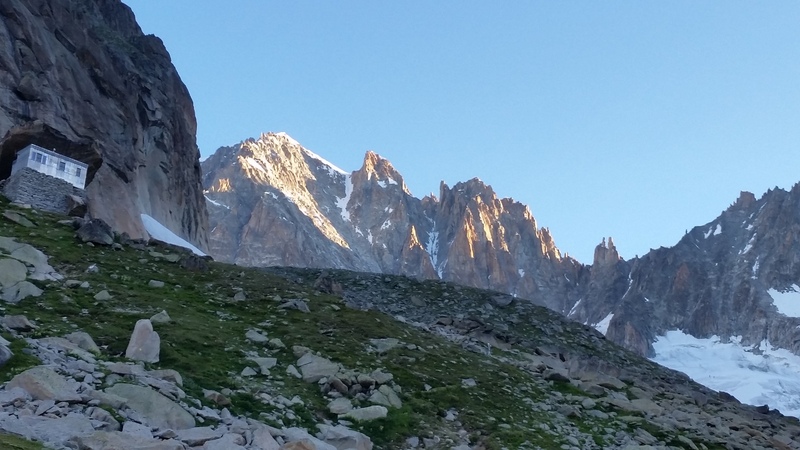 Aiguille du Jardin on the left. 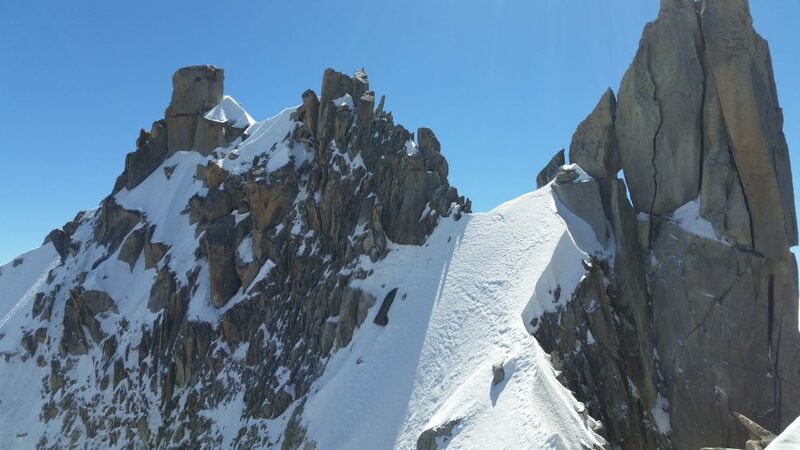 Just below the summit of Aiguille du Jardin. 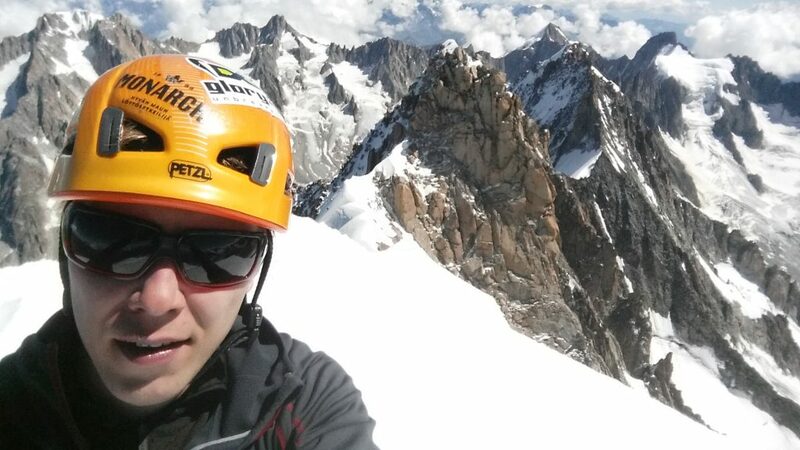 The most elegant way to finish the day was to descent the Arete du Jardin and complete traverse of the mountain. I made 6 rappels and down climbed between where the terrain allowed to do so. 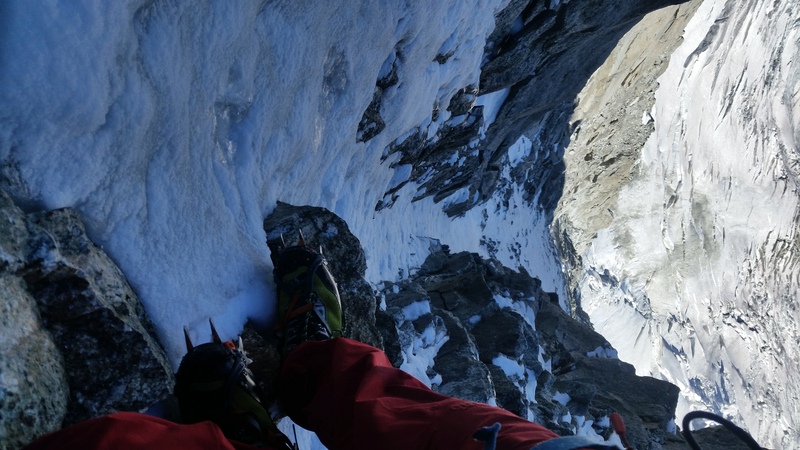 The upper couloir was in a shade, so it was relatively safe despite the loose ground. Luckily I had enough cord to re-build the rappel stations as they were damaged by the rockfall. Halfway down the couloir stay on the climbers left, it’s the safest area! In the end I had to downclimb 100 meters of rotten snow in the middle of the gully to get down. Finally I rappeled over the schrund (anchor under the overhang) to gain the safety of the glacier. I don’t recommend to do Arete du Jardin. Maybe in snowy conditions, but not late in the summer. GM ridge is much better! Wild place this is. The descet couloir in the middle. Running down to Couvercle took about 40 minutes. 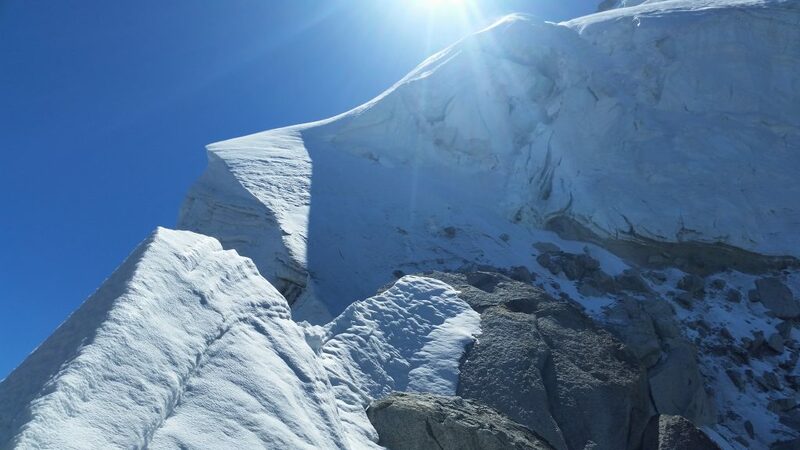 Midway down the glacier I catched Helias Millerioux with two clients moving incredibly fast. They had climbed the Moine ridge and still got the speed! Speedy run down the glacier. It was awsome to move fast on the mountains again. GM arete is pretty good ridge climbing route actually and I’m happy that I did it finally. Aiguille Verte, Grande Rocheuse and Aiguille du Jardin.